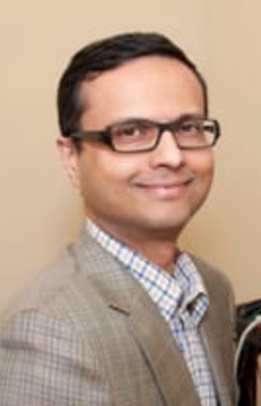 Dr. Muhammad Mirza founded BotoxJuvedermDoctor.com in 2013, and is head physician at both New York and New Jersey locations. Dr. Mirza has over 10 years of experience as a physician and has been administering safe, convenient and affordable Botox and Juvederm treatments for years. As a Black Diamond Participating Member of the Allergan Partner Privileges program for selling over $1 million worth of Allergan products, Dr. Mirza can provide you with the best possible pricing on Botox and Juvederm treatments. His innovative treatments are what differentiates his practice from that of your typical Botox Doctor. Dr. Mirza has developed his own techniques using Juvederm for a variety of newfound procedures. Presently, his Male Enhancement services have been generating the most traction and feedback, where clients who have received his service have said it has changed their lives. Dr. Mirza not only enhances the physical image of his clients, but more importantly their self-esteem which changes their entire attitude towards life. His goal is to help his patients achieve their idea of their highest self, and fix any and all problem areas. Innovation is truly Dr. Mirza’s forte. His practice is the epitome of privacy, safety, and comfort! Clients can visit Dr. Mirza at any one of this Tri-State Locations and Book Their Consultation Today! Develop new ways to use juvederm products and how they can advance problem areas in various ways. Our cutting-edge techniques and procedures are top line in the industry. We are not your typical botox and juvederm doctors. We individualize treatments for each patient, and are considered innovators in the industry based on our development of new techniques. The development of our Male Enhancement Services are the number one on the current market, and clients come to us knowing they will receive a safe procedure with substantial results! Continuing to re-define the use of botox & juvederm and keep making our clients look and feel better each day! Working with new patients and ensuring them that they are receiving the best product and procedure from the best in the business. Live your truth. Look and feel the way you were intended too!